FundCount's wealth management accounting solution is fully integrated with all partnership, portfolio and general ledger accounting capabilities embedded in the one single platform. As a result, FundCount significantly reduces operational costs, enhances efficiency and reduces risk. FundCount's extensive reporting tools enable wealth managers to deliver custom-tailored reports to each client. Wealth management structures can be enormously complex, making it particularly difficult to track multiple entities across generations. FundCount contains a unique capability to track these ‘nested entities.’ The system allows for complete transparency and granularity providing visibility into the component parts of the overall family ‘nested entity’ structure. FundCount also includes functionality that automates all facets of accounts payables, receivables and cash management. While FundCount is an appropriate choice for firms of all sizes, it is particularly helpful for firms that are dependent on spreadsheets and manual processes for their back-office accounting operations. FundCount offers an optional module that integrates Excel spreadsheets with FundCount, so firms can maintain key spreadsheets yet transition from manual input to automated processes. The ease of creating and customizing reports is a significant differentiator for FundCount. What takes hours or days with most systems can be done in minutes with FundCount. Standard reports and individual client-created reports are regularly added to FundCount’s Report Encyclopedia, which serves as a centralized, shared resource that is available to all clients. Please click on the image below to access and download the sample reports. Click below to download the infographic. How much should you pay for new software? 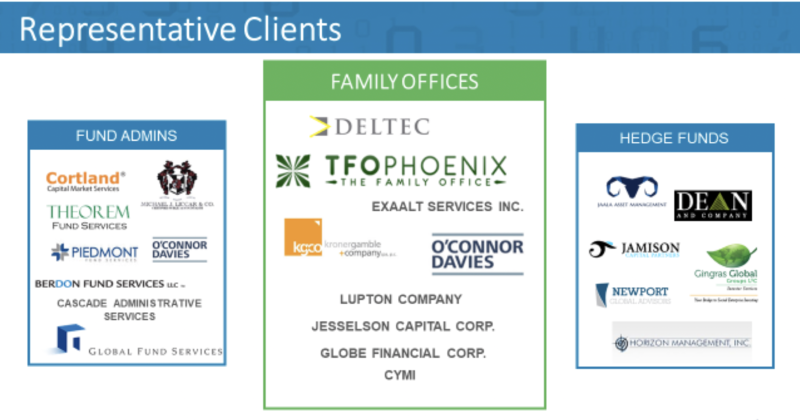 What does transparency mean for family offices? We will inform FundCount of your interest and request that they connect with you.